In 1579, the Lordship of Mechelen was one of the few territories in the Netherlands that had remained loyal to the Spanish King. Most surrounding cities, like Antwerp, Brussels and Ghent were ruled by Calvinists. There in 1580, plans were made to take over all remaining loyal cities, to deny the Spanish army any stronghold behind the frontline. The Calvinist mayor of Brussels, Olivier van den Tympel, gathered a military force, supported by English troops under command of John Norreys and Scottish under command of Captain Stuart. After a short battle with Mechelen's Schutterij and Spanish troops the city was easily taken. 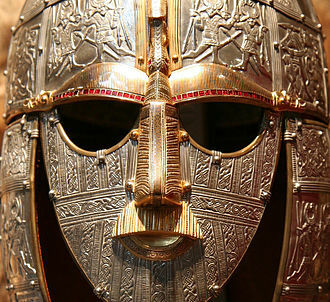 The English however turned against the population and plundered homes, churches and monasteries. Some sixty civilians were killed and Archbishop Mathias Hovius hid in a cupboard for three days and then fled the city, dressed as a peasant. The Carmelite monk Petrus de Wolf participated in the defence of the city and was killed by John Norreys himself with his bare hands. Mechelen remained under Calvinist rule until it was reconquered in 1585 by the Spanish under Alexander Farnese, Duke of Parma as one of the last cities in the Southern Netherlands. 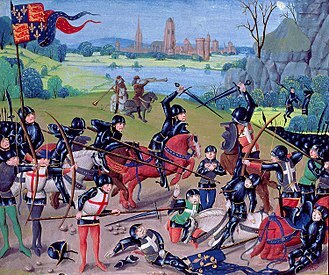 The 1580 event was named the English Fury after the Spanish Fury that hit the city in 1572. Nolan, Cathal J. (2006). The Age of Wars of Religion, 1000-1650: An Encyclopedia of Global Warfare and Civilization, Volume 1. Greenwood Publishing Group. ISBN 9780313337338. Nolan, John S. (1997). 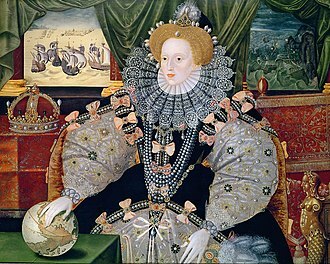 Sir John Norreys and the Elizabethan Military World. Liverpool University Press - Liverpool Science Fiction Texts and Studies. ISBN 9780859895484. Tracy, J.D. (2008). The Founding of the Dutch Republic: War, Finance, and Politics in Holland 1572–1588. Oxford University Press. ISBN 978-0-19-920911-8. Nicolaas van Eyck I or Nicolaas van Eijck, was a Flemish painter of landscapes and battle scenes and portraits. Nicolaas van Eyck was born in Antwerp as the son of the tailor Nicolaas van Eyck and he became a pupil in Antwerp of the important genre and history painter Theodoor Rombouts under whom he started to study in 1632. He was a captain of a local schutterij and this may be a reason why he painted military scenes and he was friends with the flower painter Jan Philip van Thielen, who had been a pupil of Rombouts. Van Eyck was godfather to at least one of van Thielens nine children and he was the teacher of Pieter Hofman. His sons Nicolaas II and Jan Carel van Eyck became painters, Jan Carel was a student of Jan Erasmus Quellinus and spent time in Italy. Nicolaas van Eyck is principally known for his landscapes with soldiers and he painted a number of compositions representing scenes of urban warfare and rebellion. An example is a Scene of a rebellion depicting a rebellion in a city and it depicts a group of armed men are firing into an unarmed, unperturbed crowd. In the spring of 1572, after the capture of Valenciennes by a Protestant force under Louis of Nassau, the Dutch commander continued with his offensive and took Mons by surprise on 24 May. On 23 May Louis of Nassau arrived at Mons with 1,000 infantry and 500 cavalry, Louis took control of the city, and a few days later, was reinforced by about 4,500 infantry and cavalry under the command of the Count of Montgomery. On 23 June Fadriques forces arrived at Mons and laid siege to the city, Louis sent a message to Genlis, urging that he should join to the army of his brother, William of Orange, but Genlis ignored the message, and advanced against the Spaniards. On 19 July Genlis and his forces encamped near Mons, in a circular plane, Don Fadrique, aware his arrival, advanced towards him with 4,000 infantry,1,500 cavalry, and 3,000 armed villagers for the occasion. Genlis sent a detachment to reconnoitre, but after seeing the advance of the Spanish forces, Don Frederic de Toledo is coming upon us, they cried. The Spanish cavalry of Philip of Noircarmes, without delay, charged against the French army, followed by infantry, the attack caused panic among the French Huguenots, and then, the Spanish infantry shattered the French army. The Spanish victory was complete, and the army of Genlis was entirely routed, about 2,000 French soldiers were killed or wounded, and 700 captured, including 70 nobles and officers. The leader of the French army, Adrien de Hangest, was captured, the Captain Francisco de Bobadilla was honored with carrying the news of the victory to the King Philip II, for the proven value during the battle. Meantime, the Prince of Orange with his new army continued to advance towards Mons, on 23 July, after the capture of Roermond, his troops mutinied. On 27 August, with guarantees of payment of some cities in Holland, crossed the Meuse, advancing over Diest, Termonde and Nivelles. 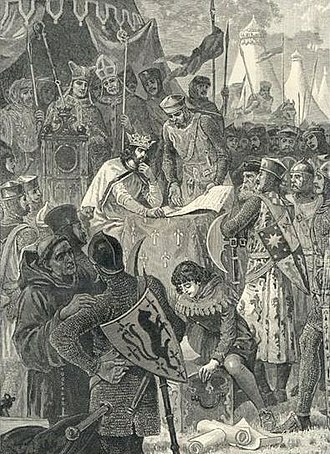 On 11 August Gaspard de Coligny, with the approval of the King Charles IX, had written to the Prince, the result was St.
Bartholomews Day massacre on 23 August. In early September, Don Fernando, Duke of Alba, arrived at Mons with reinforcements, on 10 September arrived near Mons, and Alba, knowing the Oranges arrival, positioned his troops for a possible attack. After the failed attack, the Prince retreated to the village of Harmignies, in this raid 600 rebels were killed, for only 60 Spaniards. Hundred of horses were captured, and a part of the tents. During the action, William of Orange himself was in profound slumber, and was saved by the barking of his Spaniel dog, with a heavy heart, William wrote to his brother Louis of his forlorn condition and inability to relieve Mons. The Prince retreated with his army to Nivelles and Mechelen, marching to the Rhine, thereafter he made his way almost alone to Holland, the only province which still remained true to him. After the defeat of the army of French Huguenots under Adrien de Hangest, even the French Huguenots under his command mutinied as a consequence for the support of the King of France to the massacre of St. In Spain the battle is still remembered as it is believed that the army was saved due to intervention of Mary of the Immaculate Conception. After the campaign of 1585, the Governor of Spanish Netherlands and commander of the Spanish troops Alexander Farnese, the troops of Karl von Mansfeld occupied the area around s-Hertogenbosch. But all farmers had left the island, taking their livestock with them, to make the situation of the hungry Spanish troops even worse, Dutch commander Philip of Hohenlohe-Neuenstein arrived with a strong land force and 100 ships. The Dutch leader offered a surrender to the Spaniards but the response was resolute. Ya hablaremos de capitulación después de muertos. », Philip of Hohenlohe-Neuenstein breached the dikes of Bommelwaard, forcing the Spanish back over the Rhine to Empel. There they were unable to reach s-Hertogenbosch, because the terrain was flooded and guarded by the fleet of Hohenlohe, the island was attacked as well by artillery fire coming from a fort, at the other side of the river. The southern provinces initially joined in the revolt, but submitted to Spain. The religious clash of cultures built up gradually but inexorably into outbursts of violence against the repression of the Habsburg Crown. These tensions led to the formation of the independent Dutch Republic, the first leader was William of Orange, followed by several of his descendants and relations. This revolt was one of the first successful secessions in Europe, and led to one of the first European republics of the modern era, King Philip was initially successful in suppressing the rebellion. In 1572, the rebels captured Brielle and the rebellion resurged, the northern provinces became independent, first in 1581 de facto, and in 1648 de jure. The Southern Netherlands remained under Spanish rule, the continuous heavy-handed rule by the Habsburgs in the south caused many of its financial and cultural elite to flee north, contributing to the success of the Dutch Republic. The Dutch imposed a blockade on the southern provinces which prevented Baltic grain relieving famine in the southern towns. 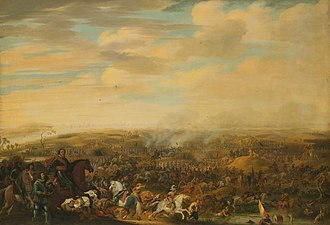 The first phase of the conflict can be considered to be the Dutch War of Independence, the focus of the latter phase was to gain official recognition of the already de facto independence of the United Provinces. This phase coincided with the rise of the Dutch Republic as a major power, in a series of marriages and conquests, a succession of Dukes of Burgundy expanded their original territory by adding to it a series of fiefdoms, including the Seventeen Provinces. Although Burgundy itself had been lost to France in 1477, the Burgundian Netherlands were still intact when Charles V was born in Ghent in 1500 and he was raised in the Netherlands and spoke fluent Dutch, French and some German. In 1506, he became lord of the Burgundian states, among which were the Netherlands, subsequently, in 1516, he inherited several titles, including the combined kingdoms of Aragon, and Castile and León which had become a worldwide empire with the Spanish colonization of the Americas. In 1519, he became ruler of the Habsburg empire, although Friesland and Guelders offered prolonged resistance, virtually all of the Netherlands had been incorporated into the Habsburg domains by the early 1540s. In the end the siege failed when the city was successfully relieved in October 1574. In the war that had broken out, Dutch rebels took up arms against the king of Spain, whose family had inherited the Seventeen Provinces of the Netherlands. Most of the counties of Holland and Zeeland were occupied by rebels in 1572, who sought to end the harsh rule of the Spanish Duke of Alba, governor-general of the Netherlands. This territory had a high density of cities, which were protected by huge defense works and by the low-lying boglands. The Duke of Alba tried to break resistance using brute force and he used Amsterdam as a base, as this was the only city in the country of Holland that had remained loyal to the Spanish government. 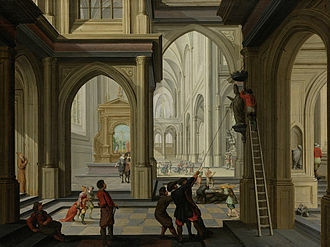 Albas cruel treatment of the populations of Naarden and Haarlem was notorious, the rebels learned that no mercy was shown there and were determined to hold out as long as possible. The county of Holland was split in two when Haarlem was conquered by the Spanish after a costly seven-month siege, Alba attempted to conquer Alkmaar in the north, but the city withstood the Spanish attack. Alba sent his officer Francisco de Valdez to attack the rebel territory. In the meantime, due to his failure to quell the rebellion as quickly as he had intended, Alba submitted his resignation, the less harsh and more politic Luis de Zúñiga y Requesens replaced him as governor-general. 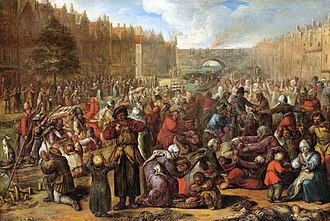 The city of Leiden had plenty of food stored for the siege when it started in October 1573, the siege was very difficult for the Spanish, because the soil was too loose to dig holes, and the city defense works were hard to break. Defending Leiden was a Dutch States rebel army which consisted of English, the leader of the Dutch rebels, William the Silent, Prince of Orange, tried to relieve Leiden by sending an army into the Netherlands under the command of his brother, Louis of Nassau. Valdez halted the siege in April 1574 to face the invading troops, but Sancho dAvila reached them first and defeated the army of Orange in the Battle of Mookerheyde. During the brief respite from the siege, Orange had counselled the citizens of Leiden to restock their city with supplies, and take in a larger rebel garrison to help defend the town. The Sack of Antwerp, often known as the Spanish Fury at Antwerp, was an episode of the Eighty Years War. The savagery of the led the provinces of the Low Countries to unite against the Spanish crown. The devastation caused Antwerps decline as the city in the region. 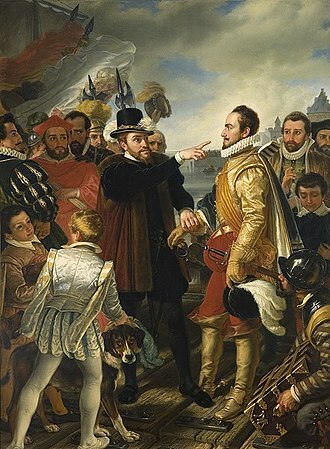 The principal cause of the sack was the delay in payment due to the soldiers by Philip II and it was common procedure with the soldiery at that time, and their procedure was invariable. Without breaking their celebrated discipline, they would choose a new leader, or Eletto, from their number, in this instance the Spanish soldiers decided to find for themselves their belated pay, by looting Antwerp. The idea to sack Antwerp came from the Spanish commander of the Citadel of Antwerp and he tried to convince the commander of the German troops in the city, Count Otto IV van Eberstein, son of William IV of Eberstein, to deliver the city to the Spanish. But Eberstein warned Governor Compagny of Antwerp, and together they improvised defenses against the Spanish, on 3 November, Governor Compagny let a force of 6,000 Walloon troops under the Marquis of Havré into the city. This was a risk, because these troops were not very trustworthy, some 10,000 civilians helped to raise improvised defenses against the Citadel. DAvila had prepared his attack and contacted other Spanish mutinous troops in Aalst, Lier and Maastricht, on November 4 at 11,00, the Spanish attacked. 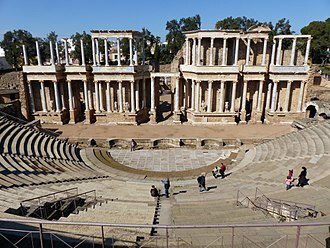 The civilian defenses were useless against the battle-hardened Spaniards, who swarmed into the city, as had been feared, the Walloons did not fight, but fled, or even participated in the looting. The Germans and civilians tried to resist, but were no match for the Spaniards, Eberstein drowned in the Schelde when he tried to escape. Some 7,000 lives and a deal of property were lost. 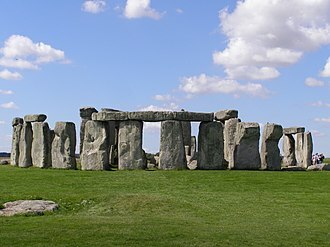 The cruelty and destruction of three days of pillage became known as the Spanish Fury. 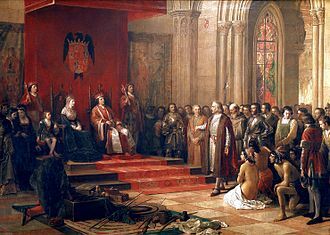 This shocking event stiffened many in the Netherlands, even many Catholics, against the Spanish Habsburg monarchy and this effectively destroyed every accomplishment the Spanish had made in the past 10 years, since the start of the Dutch Revolt. Stained glass window in St. Bavochurch by Friso ten Holt (1980), commemorating the siege of Haarlem. Wigbolt Ripperda inspiring the citizens of Haarlem in the Doelen not to give in to the Spanish army. 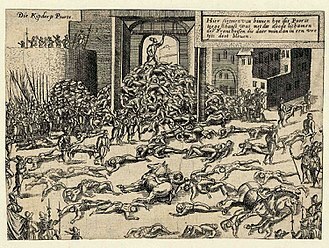 "Beleg van Haarlem" a Dutch propaganda engraving of 1573 shows mass hangings and beheadings, and cartloads of bodies flung in the river. Scene of a play by Juliana de Lannoy, published in 1770. The moment when Amelia, Kenau's daughter, mourns for her husband Wigbolt Ripperda (in coffin) while Kenau who is angry, scolds the Duke of Alba, who has entered the room to take Pieter Hasselaer (seated) into custody. The States' army in Noordhorn defeated by Verdugo, 1581. Simon Frisius, 1613–1615. Francisco Verdugo, stadtholder of Friesland for Philip II of Spain. Hillebrant Jacobsz. van Wouw I. Siege of Steenwijk in 1580–81 by Count Rennenberg. Jan Luyken, 1679. Francis, duke of Anjou. Nicholas Hilliard, 1577. 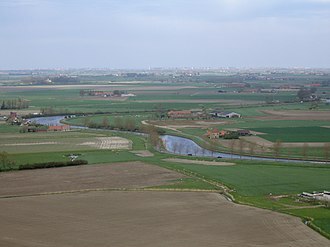 Panoramic view of Steenbergen. Unknown artist. French Marshal Armand de Gontaut, Baron de Biron, by Thierry Bellange. Prince William of Orange by Michiel Jansz. van Mierevelt. The Battle of Steenbergen, engraving by Juan de Ledesma and Romeyn de Hooghe (1670–1699). National Library of the Netherlands. Engraving of the Battle of Borgerhout by Frans Hogenberg, 1579–81. The Dairy Cow, an English anonymous painting that depicts Philip II, William of Orange, Elizabeth I and the Duke of Anjou fighting over the Netherlands, which are embodied in a cow (c. 1585). Rijksmuseum Amsterdam. Anonymous portrait of François de la Noue, c. 1609–33. Rijksmuseum Amsterdam. Prince Maurice at the Battle of Nieuwpoort by Pauwels van Hillegaert. Oil on canvas. The Siege of Goes, 1572, by Petro Le Poivre. Engraving of Don Cristóbal de Mondragón, 1599. Colonel Francisco Verdugo (ca. 1590–1600). Anonymous, Italian school. Picture by Johann Jakob Wick illustrating his report about the Battle of Zutphen, published on 12 October 1586. 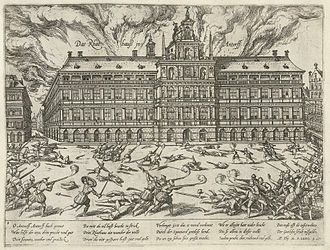 Mutinous troops of the Army of Flanders ransack the Grote Markt during the Sack of Antwerp, in a Dutch engraving of 1576 by Franc Hogenburg. The legend of Magdalena Moons and Francisco de Valdez grew out of the siege of 1574: painting by Simon Opzoomer, ca 1845. The Capture of Eindhoven of 1583 by Frans Hogenberg. Mons in 1572 by Frans Hogenberg. 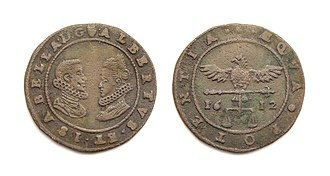 Jeton with portraits of the Archdukes Albert VII, Archduke of Austria and Infanta Isabella of Spain, struck in Antwerp 1612. Obv: Portraits of Albert and Isabella. Rev: Eagle holding balance, date 1612. El milagro de Empel, by Augusto Ferrer-Dalmau (2015). The Siege of Rheinberg of 1590 by Peter Ernst von Mansfeld. This family crypt and the chapel above it in highly ornate coffins house the remains of all four of the Wittelsbach Dynasty monarchs of Sweden whose high-powered period (1654–1720) has been called the Caroline Era for Kings Carl X Gustav, Carl XI and Carl XII. Crown Jewels of France, on display at the Louvre with the crown and diadem of Empress Eugénie to the left, the set of Queen Marie Amélie in the centre, and the crown of Louis XV to the right with the diadem of the Duchess of Angoulême. The Côte-de-Bretagne red spinel with the set of Queen Marie Amélie to the left, the bracelets and diadem of the Duchess of Angoulême in the centre and upper right and, between them, the set of Empress Josephine. Procession of Louis XV of France after his coronation in Notre-Dame de Reims, traditional location of the coronations of Kings of France.